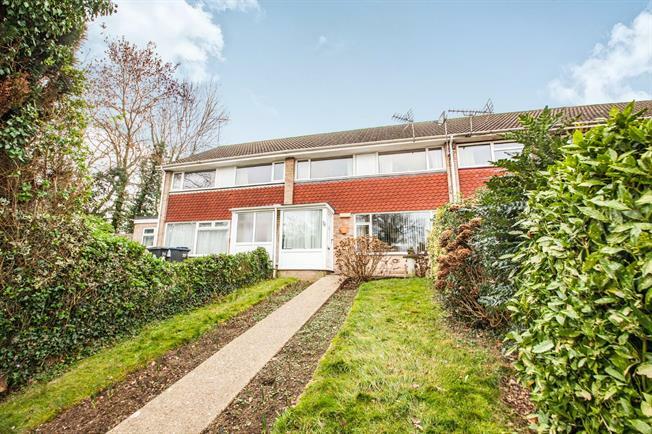 3 Bedroom Terraced House For Sale in Canterbury for Offers Over £240,000. Mann estate agents are delighted to bring to the market this fantastic three bedroom family home with garage en bloc. Upon entry via the porch, you are welcomed into a light and spacious lounge leading through to a wonderful kitchen dining room via French doors. Rising to the first floor, you will find two spacious double bedrooms, both benefiting from built in storage. There is also a further single bedroom and spacious family bathroom. Externally you will find a fantastic tiered rear garden with an array of features. To the rear of the property via the rear access you will find a garage en bloc with parking. Located in the Hales Place area of Canterbury, this development offers fantastic access to the historic city centre of Canterbury. With an array of shops, pubs, bars, restaurants and boutiques, this property is perfectly situated with transport links. Canterbury West station is a short distance away offering links to London St Pancras taking just 58 minutes. Please call Mann estate agents today in order to arrange your accompanied viewing 01227 454 125.